It looks all over bar the shouting in the race for automatic promotion from the Championship this season, despite second-placed Newcastle’s 2-1 loss at play-off hopefuls Sheffield Wednesday. That resulted apr have dented Rafa Benitez’s men’s chances of capturing the Football League crown this term, with forms Magpies chief Chris Hughton’s Brighton snatching the top spot after winning by the same scoreline at QPR. However, the Seagulls were the only team in the top four to avoid defeat over the weekend, and would-be gate crashers Huddersfield, Reading and Leeds have a colossal mountain to climb During The cargo month of the campaign. At this stage, the best price you’ll get about Newcastle going up ice 1/25, while Brighton are even more nailed on at 1/1000 with some betting Firms. Which leads us to the next question – can either side make an impact in the top flight? 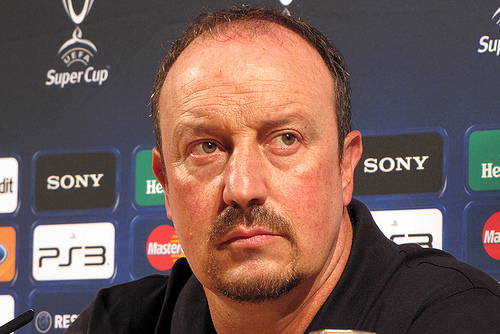 On the face of it, Benitez Appears to have a squad Capable of staying up with points to spare next term. Vernon Anita, Matthew Ritchie, Jonjo Shelvey, Mo Diame and Dwight Gayle have all the tests Their worth at Premier League level in the past, admittedly to Varying Degrees. Jamaal Lascelles and Karl Darlow are Clearly Developing on or ahead of schedule, with the forms Nottingham Forest pair making 70 Championship starts combined in 2016/17, while Ayoze Perez and Chancel Mbemba are still Relatively young and Improving. All that being said, with Gayle and Ritchie accounting for 33 of the Geordies’ 74 league goals this term, and no other player managing more than six, added firepower would not go amiss. Do not be surprised if Newcastle go into Swansea striker Fernando Llorente, Should the Welsh side go down. Brighton, on the other hand, will be under pressure to add experience to a squad that looks unprepared for top-flight football. David Stockdale looks a lock to start the campaign in goal after being named in the Football League Team of the Season, while Championship Player of the Year Anthony Knockaert will be desperate for another crack at the big time, having left Leicester two years ago. However, the likes of Steve Sidwell, Oliver Norwood and Sébastien Pocognoli Previously have been deemed either past Their best or not good enough by the Premier League Employers. Furthermore, impressive Championship performers such as Gaetan Bong, Bruno, Lewis Dunk and Shane Duffy can boast of just five EPL appearances between them, all by the latters. Hughton May end up beating his old club to the second-tier top spot, but the Brighton boss looks likely to have a bigger rebuilding job this summer. Where would unloved Arsenal striker like to end up?